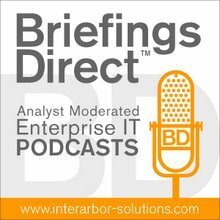 Dana Gardner's BriefingsDirect: Open Group security gurus dissect the cloud: Higher or lower risk? Boardman: It’s simply a fact, and it’s something that we need to learn to live with. What I've noticed through my own work is a lot of enterprise security policies were written before we had cloud, but when we had private web applications that you might call cloud these days, and the policies tend to be directed toward staff’s private use of the cloud. Gilmour: There's definitely a place in the cloud for some data. I get the impression that there is going to drive out of this something like the insurance industry, where you'll have a secondary cloud. You'll have secondary providers who will provide to the front-end providers. They might do things like archiving and that sort of thing. Gardner: Mary Ann, to this notion of the different layers of security for different types of data, is there anything happening in the market that you're aware of that’s already moving in that direction? Hietala: In the next version of TOGAF, which has already started, there will be a whole emphasis on making sure that security is better represented in some of the TOGAF guidance. That's ongoing work here at The Open Group. Gardner: As I listen, it sounds as if the in the cloud or out of the cloud security continuum is perhaps the wrong way to look at it. If you have a lifecycle approach to services and to data, then you'll have a way in which you can approach data uses for certain instances, certain requirements, and that would then apply to a variety of different private cloud, public cloud, hybrid cloud. 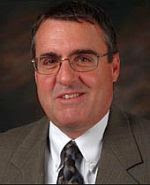 Gardner: Perhaps what we need is the equivalent of an Underwriters Laboratories (UL) for permeable organizational IT assets, where the security stamp of approval comes in high or low. Then, you could get you insurance insight-- maybe something for The Open Group to look into. Any thoughts about how standards and a consortium approach would come into that? Hietala: I don’t know about the UL for all security things. That sounds like a risky proposition. Hietala: I will say we have one active project in the Security Forum that is looking at trying to allow organizations to measure and understand risk dependencies that they inherit from other organizations. Gilmour: Yes. I think that's how it has to go. The question that then arises is, who is going to police the policeman and how is that going to happen? Every company is going to be using the cloud. Even the cloud suppliers are using the cloud. So how is it going to work? It’s one of these never-decreasing circles.